Tracking clicks within your email is absolutely crucial, however email clicks do not necessarily equate to email conversions. This is why it is essential to track beyond the click to measure what occurs once someone has clicked from your email to your website. 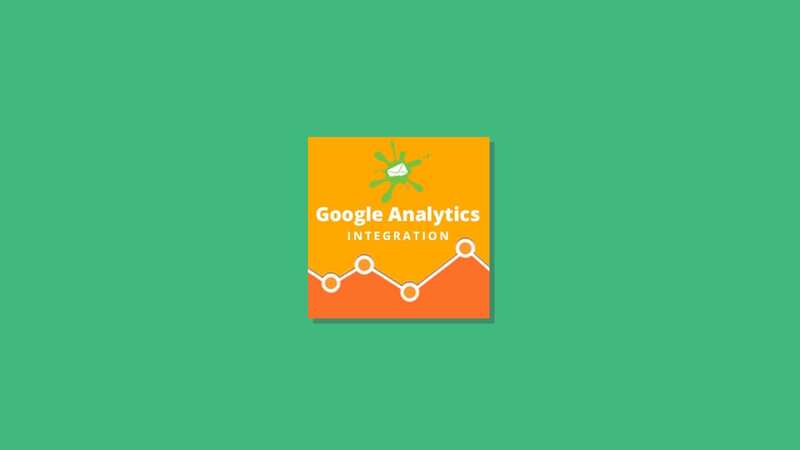 If you aren’t familiar with using Google Analytics to track email performance, keep reading! Using Google Analytics will allow you to evaluate what your audience is doing post email click and assign a value to each email campaign you send based on that activity. 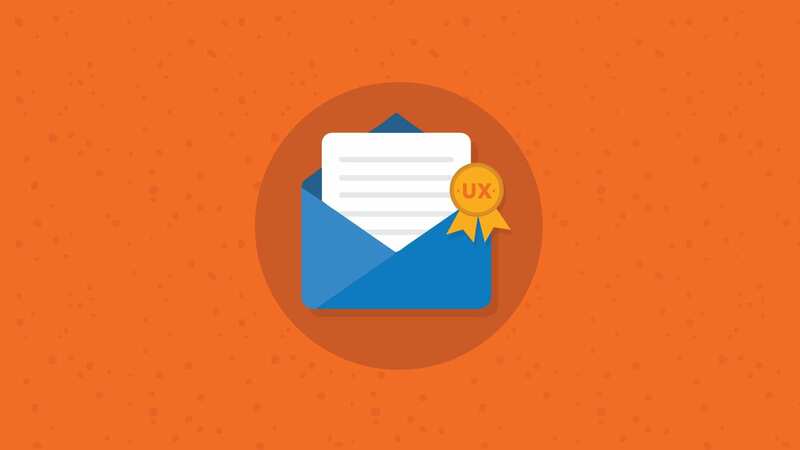 Initial email engagement may not give you enough information to judge campaign performance depending, of course, on your campaign goals. As an example, imagine your primary goal is to drive revenue through your website from an email campaign. 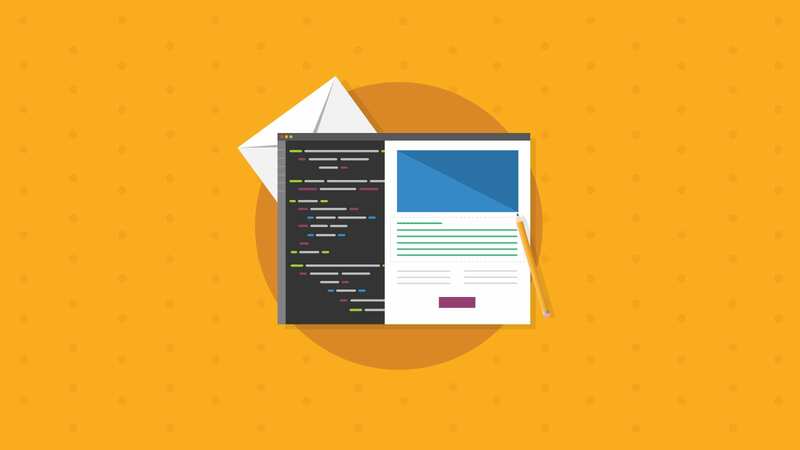 While tracking clicks, opens and time spent reading can be useful, what you really want to know is if your email campaigns are driving checkouts on your website. And you may find that emails with lower engagement metrics actually result in higher total revenue. Testing this hypothesis: A company that sells luxury watches is sending an email to everyone who has opted in to its list and wants to run a split test on the subject line to determine which version increases sales. 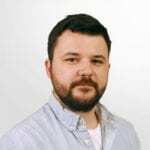 To do this, the company creates two separate campaigns in EOA’s analytics to measure each variant’s success in both Email on Acid and Google Analytics. Subject Line: New Omega Speedmasters Just In, Discounts Range from 20-90% Off Retail! It’s important to note that both email campaigns pointed to the same landing page selling Omega Speedmaster Watches for 20-90% off. Without Google Analytics, it might have seemed that Email 1 was the winner, because it drove more traffic to the website. But in reality, there were very few watches offered at 90% off, so the expectation set by the subject line in Email 2 resonated better for actual conversions. By activating Google Analytics within your next Email on Acid Analytics campaign, you should be able to gauge performance like this in your own email campaigns. 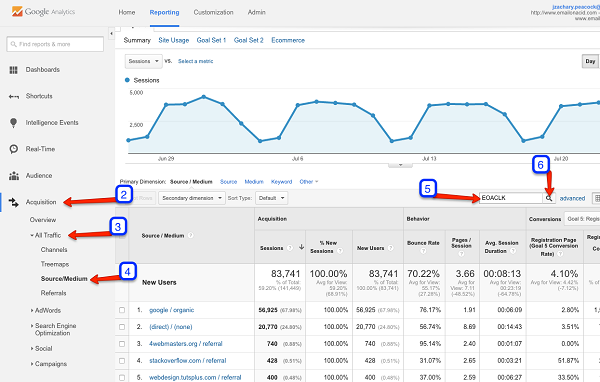 **If you haven’t installed Google Analytics, we’d recommend you do so by following these directions and making sure to familiarize yourself with the basics. 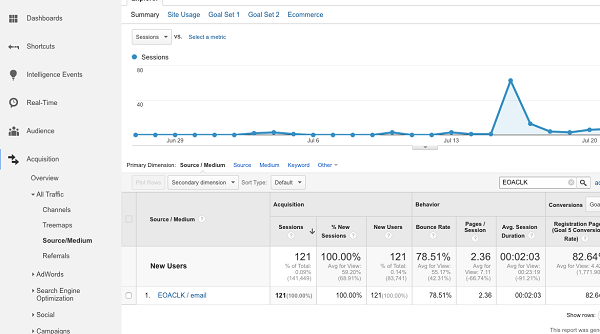 Start by logging into your EOA account and selecting “Analytics” from the left navigation bar. From there, enter your campaign settings (i.e. campaign name, tags, etc.) as you normally would. 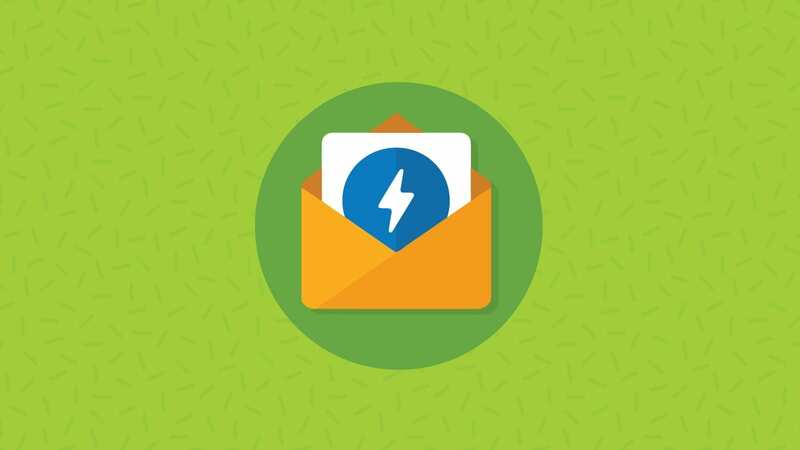 If this is your first time setting up an analytics campaign, be sure to check out our “Getting Started with Email Analytics” article for a detailed walk-through. 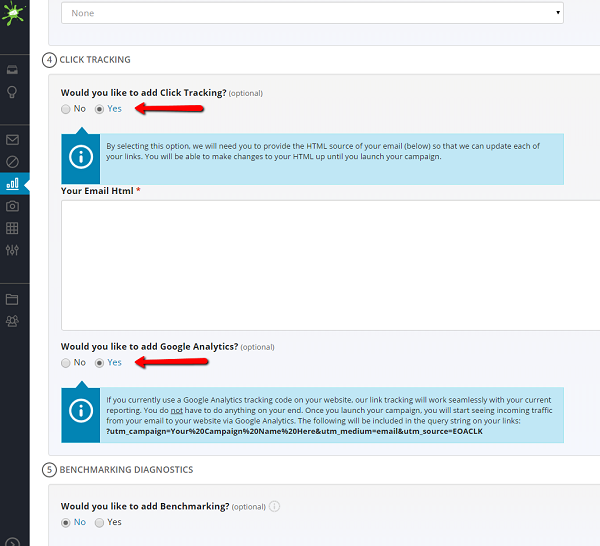 In order for Google Analytics to be properly integrated into your Email on Acid campaign, you must check “Yes” next to “Would you like to add Click Tracking” to actually see the option. From there, mark the checkbox for “Yes” next to “Would you like to add Google Analytics?” as shown in the screen shot below. 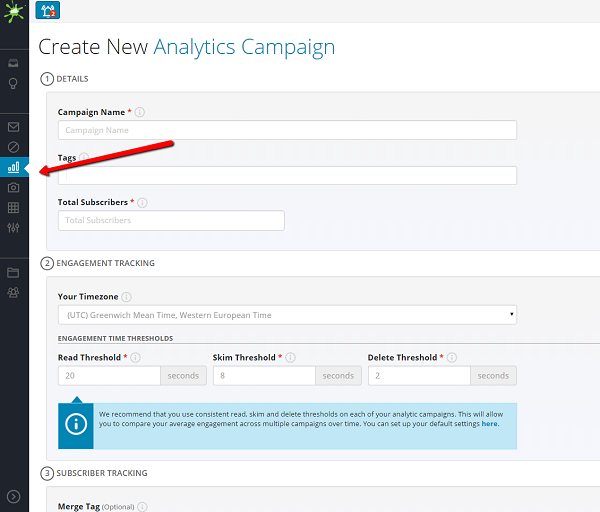 Make special note of the “Campaign Name” you select in Part 1, as this will be applied to the UTM parameter. There are a number of different ways you can use these dimensions to slice your data, but today we’ll walk you through the most basic to ensure you understand how to locate your Email on Acid data within Google Analytics. After your email campaign is deployed with Email on Acid analytics and reporting, you’ll need to examine the post-click data to uncover the success of your campaign. Select “Acquisition” from the left hand side. Type EOACLK in the filter box on the right. Hit “Enter” or click on the magnify glass. Next, we want to set the “Secondary Dimension” to “Campaign.” This will allow us to identify stats from the email campaign we just created. Type in “campaign” in the field. Select Campaign from the drop down. Now you should be able to view a breakdown all of your Email on Acid email campaigns that have been running during the selected time period! Under the “Conversions Column,” you can select goals that you have previously set. There are, of course, many other ways in Google Analytics that you can filter by these UTM parameters to view what your users are doing once they click through from email. Most importantly you now have knowledge of how to view your Email on Acid campaign data in Google Analytics. Are there any other ways you would want to look at analytics to better understand your user data? Leave your comments below and let our readers know! Try Our Analytics Platform Free!